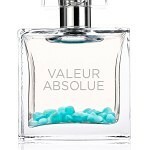 There are olfactory themes in Perfumery that only the best master-perfumers would dare to revisit as the difficulty of reaching an amazing result is very high. Parfums Divine dared to revisit the Rose theme, one of the most royal olfactory themes in perfumery. It is called Spirituelle and it will reconnect you with this amazing floral theme. Spirituelle is a story of harmony and modernity. In the first seconds you try the fragrance you will be hooked into the olfactory story thanks to a burst of spices: Sichuan and Pink peppercorns. It will give you a splash of original freshness that is away from the traditional citrus notes. It is sharp, modern and yet clean and bright. The fragrance story follows with an amazing rich and juicy floral heart. A duo of 2 amazing Rose qualities play together one of the greatest symphonies. May Rose and Turkish Rose will tell a melody of sumptuous sensuality. It is floral, fruity, crispy and ultra-feminine. The Fragrance closes with a warm radiance of Ambers, white musks and incense. Divine collaborated with one of the most prestigious Perfume house in the world: Robertet. The talent of Richard Ibanez brought to life this unique work around the Rose. He successfully kept the richness and the femininity of this majestic flower and added a very modern twist on it. Robertet has an extraordinary Perfumer ingredient palette and one of the company’s strength is the quality of the naturals. They have probably one of the best qualities in the world. It is not surprising that Divine decided to work with the French company on such an olfactory theme, where the quality of naturals play a major role. It has been a while that I did not smelled such a great Rose. The Flacon is also something to be highlighted as well. It is the iconic flacon from the Brand. The quality of glass and the details are purely a beauty to the eyes and a promise that insider there is a great fragrance. The Splash flacons have an amazing cap that will give to luxury and glamour all their golden letters. Something very important in luxury perfumery is also what we call the glass mass, in other words the quantity of glass used in the flacon creation that needs to be balanced with the flacon design. Not too much neither not enough. Here the balance is perfect and you can appreciate the work in these zooms above and below. Only great perfume brands will give such attention to all this kind of details. You can also read our full review about Divine here. Spirituelle is the 11th creation by Divine. Simply by word of mouth, Divine Perfumes have magically entered the lives of women and men all over the world. You can visit the brand official website to read more about Divine endless universe and even buy online their great creations. Be inspired by the soft harmony that you will get from this amazing fragrance by Divine. Info sourced at Divine Parfums official communication. All content is copyrighted with no reproduction rights available.